It’s that time of year again! 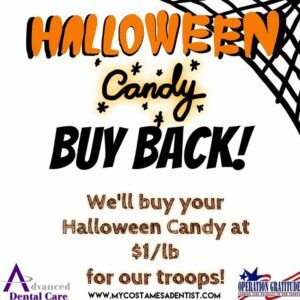 The Halloween Candy Buy Back Event! Bring your Halloween candy to our office from now until November 14th and we’ll PAY YOU $1/Lb! 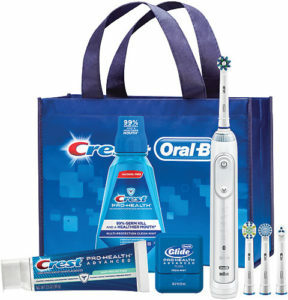 Your candy, as well as toothbrushes and toothpaste donated by Advanced Dental Care, will be sent to our troops overseas to bring a smile to their face! Donations will be given to Operation Gratitude in Chatsworth, CA to be sent to our troops!